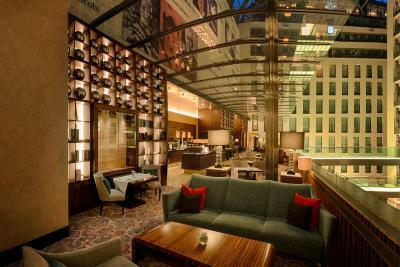 Lock in a great price for InterContinental - Düsseldorf – rated 8.9 by recent guests! My stay was excellent. Excellent location. Friendly staff. The location were very excellent it was near the shopping area. The Rooms are big. Location is the best. 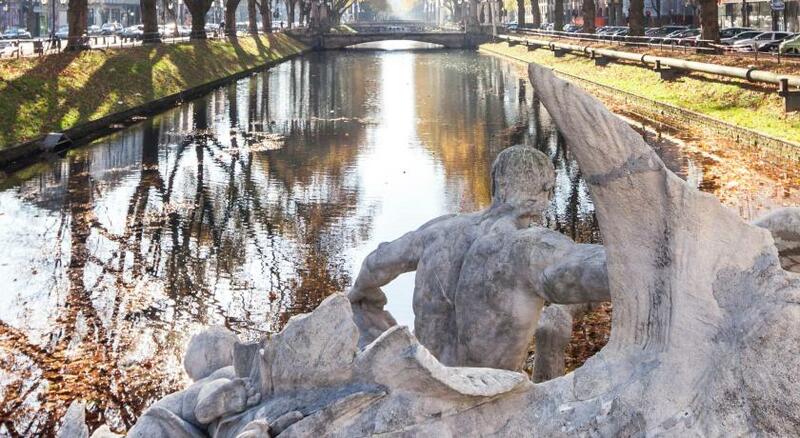 Located in Königsallee avenue, known as the "Kö", sometimes referred to as the "Champs-Élysées of Germany". Free breakfast was a nice surprise. Great gym though the access was a bit awkward. Everything is perfect this is the second time to stay with the hotel, and am sure will not find any hotel giving this quality of services. The bed was comfortable, toilets were very clean. The location is perfect and it’s in the middle of the city centre. Beautiful room with giant bathtub and fabulous rain shower. Loved the vertical art gallery, pink bar, and location. Very friendly staff and very accommodating. InterContinental - Düsseldorf This rating is a reflection of how the property compares to the industry standard when it comes to price, facilities and services available. It's based on a self-evaluation by the property. Use this rating to help choose your stay! One of our top picks in Düsseldorf.This hotel is located on the exclusive Königsallee shopping street in Düsseldorf. It offers a large health club, creative cuisine, and soundproofed rooms with elegant décor. Guests over 18 at the InterContinental Hotel Düsseldorf enjoy complimentary access to the adjoining Holmes Place Health & Fitness Club, which offers a modern gym, and a beauty salon. Additional charges may apply to various spa treatments. Regional and international food is served in the atmospheric PÉGA restaurant. Guests can also relax in the elegant bar fifty nine and in the Vintage wine room. Private parking is available at the Düsseldorf InterContinental. City Center is a great choice for travelers interested in clothes shopping, luxury brand shopping and shopping. This is our guests' favorite part of Düsseldorf, according to independent reviews. This property also has one of the top-rated locations in Düsseldorf! Guests are happier about it compared to other properties in the area. When would you like to stay at InterContinental - Düsseldorf? This double room features a seating area, air conditioning and tile/marble floor. This twin/double room features a mini-bar, tile/marble floor and soundproofing. This twin room features a mini-bar, electric kettle and seating area. This twin room has a seating area, satellite TV and mini-bar. This studio features a mini-bar and seating area. Hotel surroundings – This neighborhood is a great choice for travelers interested in clothes shopping, luxury brand shopping and shopping – Check location Excellent location – show map Guests loved walking around the neighborhood! 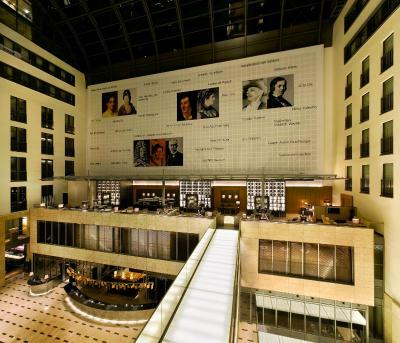 House Rules InterContinental - Düsseldorf takes special requests – add in the next step! InterContinental - Düsseldorf accepts these cards and reserves the right to temporarily hold an amount prior to arrival. One of the most picturesque neighborhoods in Düsseldorf! One small thing the matrices is too hard . Location, clean, furniture , staff is amazing. Staff need to be more helpful, I asked for a European adapter and they gave me directions to the nearest mall instead. Inside rooms are modern, but the full windows face all three lifts and the lounge areas, curtains must be shut at all times. Also milk was totally off the 1st morning of the conference - not acceptable. Finally a professional coffee machine was available down to the conference, only to be operated by the hotel staff. But they were never there! Excellent Location, interesting architecture and design and clean rooms. My room was beside the elevators which was really noisy all the time because of the moving up and down. As a gluten allergic the breakfast did not have a good enough alternative and also labelling allergies on the buffet. I also didn’t get any club points for the stay, which they didn’t tell me about. Great intercontinental service, nice rooms.